The American Dental Association (ADA) recommends that you visit your dentist at least once every six months to ensure proper oral hygiene and functionality. Regular checkups and oral health maintenance prevent the development of serious dental problems that can require costly treatment. Your teeth and gums are the foundation of a beautiful smile. 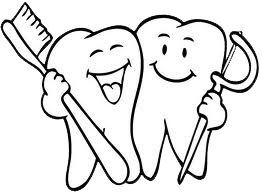 Tooth decay and gum disease are some of the main reasons people visit the dentist. Plaque builds up on teeth over time. If plaque forms below the gum line, bacteria can invade and create a host of other dental problems. Furthermore, the surfaces and areas between the teeth and under the gum line must be maintained and treated on a regular basis in order to ensure proper dental hygiene. We will work with you to develop a customized dental hygiene and preventive plan that will prevent, uncover, or treat any problems as early as possible.